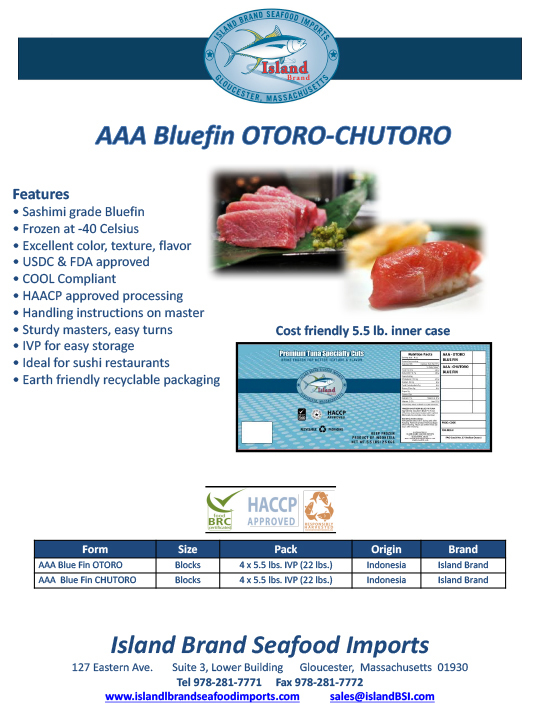 AAA Otoro and Chutoro are sashimi-grade and the fattiest part of the Bluefin Tuna. Chefs and sushi restaurants prize this most expensive cut of exquisite Bluefin for its marbled texture and rich taste. Our full line includes AAA Bigeye and Yellowfin Saku for all your sushi needs.